We understand that the prospect of surgery can be daunting for you and your pets. Our anaesthetic protocols ensure excellent pain management and safety, so you can rest assured your pet is in safe hands. 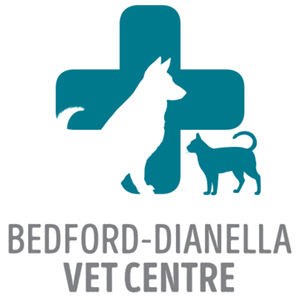 Following admission to the centre, your vet performs a full physical examination of your pet. With your permission, we run a quick pre-anaesthetic blood test in-house to assess that the liver and kidneys are healthy to process the anaesthetic medications from the body. Then we administer a sedative combined with a morphine-style drug to relax your pet and reduce the amount of anaesthetic drugs required. This sedative also provides pain control after the operation. The vet injects a short-acting intravenous anaesthetic to make the patient unconscious for just a few minutes – just enough time to place a tube in their airway to deliver oxygen and isofluorane gas straight to their lungs, for finely tuned anaesthetic control during surgery. Gas anaesthetic drugs are the fastest to be metabolised from the body, so when we finish operating the gas is turned off and patients receive oxygen until they are conscious enough to swallow again – usually within a couple of minutes. Then the breathing tube is removed. Throughout the operation and under direction of your vet, a dedicated vet nurse monitors your pet’s anaesthetic (in conjunction with our advanced anaesthetic monitoring equipment), watching over your pet until they are fully recovered. Our dedicated surgical suite includes advanced monitoring equipment (Surgivet V9200), which monitors patients throughout their surgery. This ensures any minor problems can be readily detected and dealt with before potentially becoming major problems. The machine monitors the patient’s electrical heart activity (ECG), heart rate, breathing rate, blood pressure, oxygenation of the blood and how much carbon dioxide is building up in the blood (End Tidal CO2). Loss of body temperature is an inherent consequence of anaesthesia. To prevent hypothermia, we provide your pet with heating mats on the induction table, an ‘air hugger’ on the surgical table and heating mats in recovery beds. The air hugger used in theatre is a semi-inflated air mattress that wraps the underneath and around the sides of your pet and has a continuous supply of warmed air flowing through it to minimise heat loss during surgery. Our nurses manually monitor your pet’s body temperature throughout their recovery. ensure the surgery has your contact telephone numbers for that day as we give you a quick call when your pet has recovered from the anaesthetic. After operating, our vets will discuss the surgery with you and provide aftercare notes at your pet’s discharge appointment.